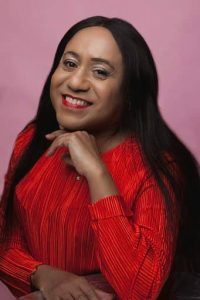 Trans activist, Ricky Nathanson is to be awarded the Felipe de Souza Award, which recognises the courage and activism of grassroots groups and individuals, at an Outright International event, Celebration of Courage 2019 in New York City on Tuesday, May 7 2019. The Award embodies the spirit and story of Felipa de Souza, who endured persecution and brutality after proudly declaring her intimacy with a woman during a 16th Century inquisition trial in Brazil. Ricky joins GALZ who have been honoured with the award twice in 2005 and 2015 making it three awards to Zimbabwe in the history of the award. Previous Felipa Award winners also include: Simon Tseko Nkoli, the famed LGBT/HIV activist from South Africa; Jamaica Forum for Lesbians, All-Sexuals and Gays whose leader Brian Williamson was murdered in 2004; Lohana Berkins, a globally known transgender activist from Argentina amongst others. “People like Ricky are the reason why we have our Celebration of Courage. We want to celebrate the accomplishments of all those who fight on, even through the backlash many of our partners and friends around the world are facing today. OutRight seeks to advance human rights and opportunities for LGBTIQ people around the world by developing critical partnerships at global, regional, and national levels to build capacity, document violations, advocate for inclusion and equality, and hold leaders accountable for protecting the rights of all LGBTIQ people. Today, we partner with local LGBTIQ organizations across four regions and maintain a cross-regional LGBTIQ initiative at the UN in New York.